LOVE. I had a little chat with the lovely people over at Botkier and guess what, Christmas comes early this year! This week, Fashion Squad + Botkier is giving one lucky reader the chance to win their very own 70’s chic Botkier Beck Hobo!! 3. 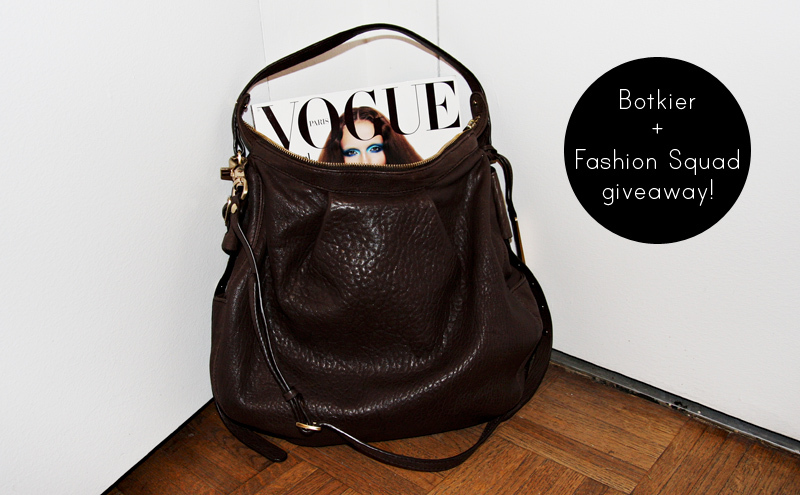 Leave a comment with your name, email address + why YOU should win the bag! The competition is open for everyone and ends on monday December 6th, go go go! UPDATE: The competition has ended, the winner will be announced December 8th!